CBS today unveiled its 2016-2017 primetime lineup, featuring three new comedies, five new dramas and 21 returning series. The new series will join a lineup that will finish the current season as America's most-watched network in viewers for the 13th time in 14 years, including the last eight years straight. The Network will also finish #1 in adults 25-54 and adults 18-49. In fall 2016-2017, CBS will expand its comedy lineup, increasing the number of comedies from four to eight, compared to last fall, and programming two two-hour blocks on Mondays and Thursdays. The Network's new series will feature stars in comedy and drama such as Kevin James, Matt LeBlanc, Joel McHale, Michael Weatherly, Katherine Heigl, Dermot Mulroney, Laverne Cox, Dulé Hill and Bill Paxton. The new CBS fall comedies are: Kevin Can Wait, starring Kevin James as a newly retired police officer who faces tougher challenges at home with his wife and three kids than he ever did on the streets; Man With a Plan, starring Golden Globe Award winner Matt LeBlanc as a contractor who starts spending more time with his kids when his wife goes back to work and discovers the truth every parent eventually realizes: his little angels are maniacs; and The Great Indoors, starring Joel McHale as a renowned adventure reporter for an outdoor magazine who becomes the desk-bound boss to a group of eager millennials in the publication's digital edition. The new fall dramas are: Bull, starring Michael Weatherly as a brilliant and charming trial consultant; the action-adventure drama MacGyver, an origin story of the classic series starring Lucas Till and George Eads; and Pure Genius, starring Dermot Mulroney and Augustus Prew in a medical drama about a Silicon Valley billionaire superstar who enlists the world's best medical minds to work in his state-of-the-art hospital. Two new series also set to premiere in 2016-2017 are: Training Day, a crime drama that begins 15 years after the events of the successful feature film, starring Bill Paxton as a hardened, morally ambiguous detective for the LAPD, and Justin Cornwell as a young, idealistic officer tapped to go undercover as his trainee to spy on him; and the legal drama Doubt, starring Katherine Heigl, Steven Pasquale, Dulé Hill and Laverne Cox, about an attorney who begins to fall for her charismatic client accused of murdering his girlfriend. The returning reality series are the Emmy Award-winning programs Survivor, The Amazing Race and Undercover Boss. In news, CBS will return 60 Minutes, television's #1 news program for nearly five decades, and Saturday's most-watched program and time period winner 48 Hours. In addition to the new shows and 21 established series, NFL Thursday Night Football returns to CBS's #1 primetime lineup for the third consecutive year with five early-season games. The Thursday broadcasts kick off on Sept. 15 with New York Jets at Buffalo Bills. Here's what Glenn Geller, President, CBS Entertainment, had to say in a statement. "One of our goals this development season was to expand our lineup of top-rated comedies, and these new shows and big stars give us the opportunity to do so in a big way. With the Network's returning roster of hits and time-period winners, we're able to strategically schedule all of our exciting new comedies and dramas with the best possible launch pads to succeed." Comedy is back on Monday! With Thursday Night Football premiering Sept. 15, the Network will again move The Big Bang Theory to Mondays at 8:00 PM to start the season, giving the best lead-in on television to the new family comedy Kevin Can Wait, starring Kevin James. Following football, The Big Bang Theory will move to its regular Thursday time period, and Kevin Can Wait will shift to 8:00 PM to anchor the night and lead in to the new comedy Man With a Plan starring Matt LeBlanc. The expanded night of comedy will continue with Kat Dennings and Beth Behrs in 2 Broke Girls at 9:00 PM, paired with Matthew Perry and Thomas Lennon in The Odd Couple at 9:30 PM, creating a two-hour comedy block. Moving to 10:00 PM to wrap up the night is Scorpion, Monday night's top-rated scripted series. NCIS, television's #1 drama for seven years with over 20 million viewers, returns at 8:00 PM, providing the perfect lead-in for former NCIS star Michael Weatherly in his new legal drama, Bull, at 9:00 PM. This highly compatible and powerful night of television continues with the top three drama NCIS: New Orleans at 10:00 PM, to cap the evening. Survivor once again opens the night at 8:00 PM, where it continues to win in viewers and demographics. Criminal Minds, a top 10 drama, returns at 9:00 PM, leading in to the fast-paced medical drama Code Black at 10:00 PM, Wednesday's #1 new series in viewers in its freshman season. NFL Thursday Night Football kicks off on Sept. 15, giving CBS big ratings in the middle of the week and a strong promotional platform to launch the new season. 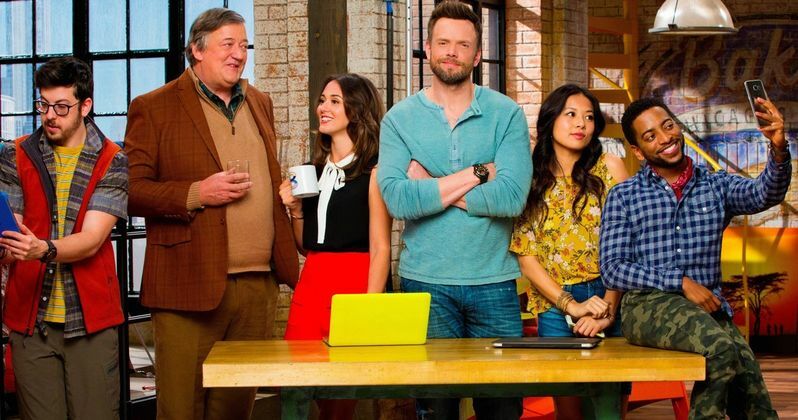 The Network's top-rated entertainment schedule returns Oct. 27 with The Big Bang Theory in its regular 8:00 PM slot, providing a potent lead-in for the new comedy The Great Indoors, starring Joel McHale as the boss to a group of millennials in his magazine's digital department, at 8:30 PM. Anna Faris and seven-time Emmy Award winner Allison Janney star in the critically-acclaimed Mom at 9:00 PM, followed by this season's #1 new comedy, Life In Pieces, at 9:30 PM. Then, after opening the night with a group of geniuses, the evening closes with another group in Pure Genius, the medical drama about an Internet billionaire and his brilliant team of doctors, starring Dermot Mulroney and Augustus Prew, at 10:00 PM. Kicking off the night at 8:00 PM will be the new action-adventure drama MacGyver, a reimagining of the classic series, followed by another classic franchise, time-period winner Hawaii Five-0 at 9:00 PM. Blue Bloods, Friday's most-watched show, anchors CBS's winning Friday night at 10:00 PM. CBS's Saturday lineup features Crimetime Saturday, encore broadcasts of the Network's popular dramas at 8:00 PM and 9:00 PM, followed by 48 Hours at 10:00 PM, Saturday's most-watched program. The renowned 60 Minutes, television's #1 news program for nearly five decades, returns at 7:00 PM. At 8:00 PM, Monday hit NCIS: Los Angeles moves to its new home, leading into Madam Secretary, Sunday's most-watched broadcast drama, which shifts to 9:00 PM. At 10:00 PM, Sherlock Holmes and Dr. Watson are back on the case in Elementary, capping a night of three strong dramas from 8:00-11:00 PM.